How Far Along? 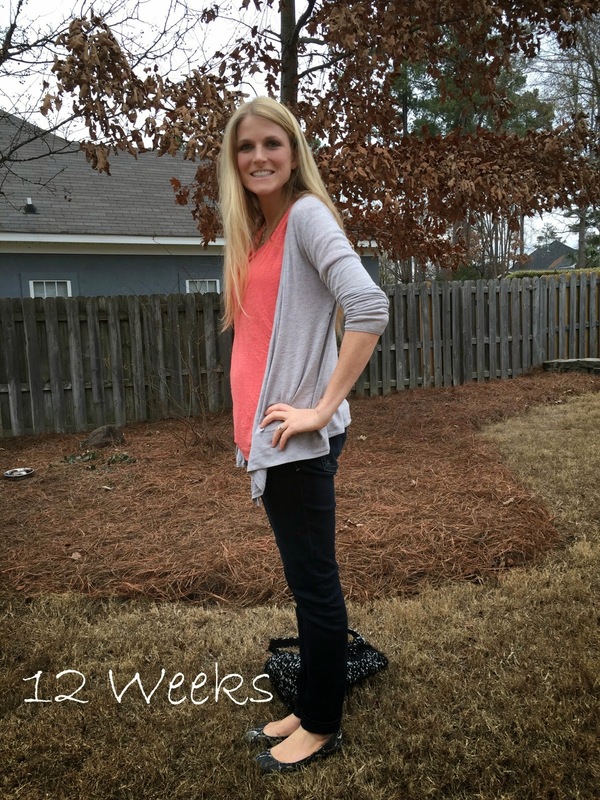 16 weeks… looks like I only like posting on even weeks- 12, 14 and 16 so far! 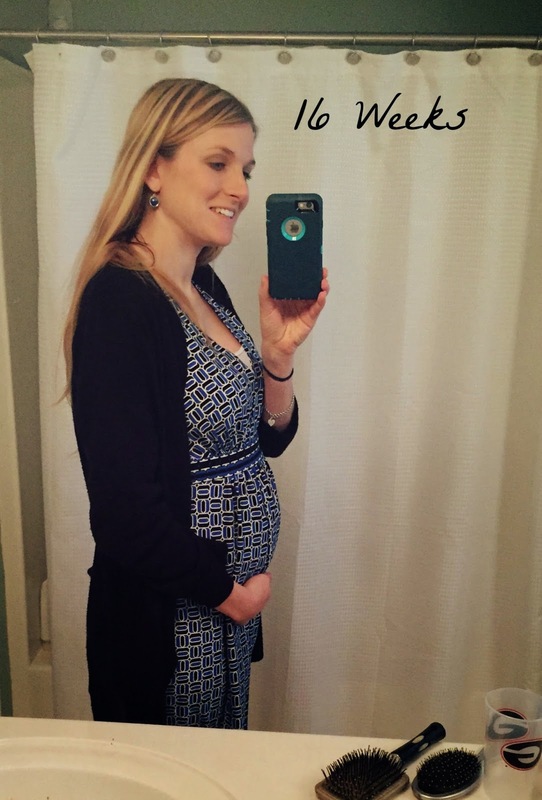 And by the way, the second trimester has been so much better to me! Total Weight Gain/Loss: A whopping 10 pounds my friends! But I am less worried about this than last time, I know I am eating healthy and exercising and my theory is that my body is just gaining what it needs. Baby Related Purchases: Nothing yet… but I am starting to research a double stroller… maybe a jogging one? Do y'all have any you love? 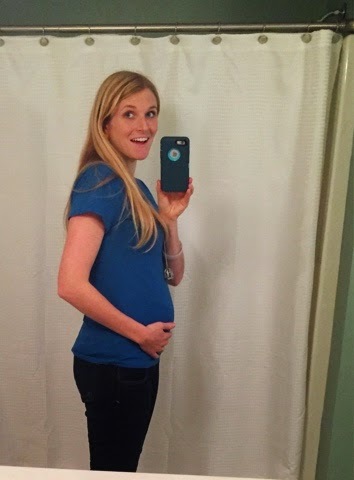 Maternity Clothes: Still just maternity pants.. because I can and they are comfortable. Sleep: I am sleeping better, but still waking up on my back. I am going to try to solve this with more pillows! What I miss: My full energy level. I am back to working out in the morning and eating is going better! Anything making you queasy or sick: Starting to feel a lot better, still a little nauseous in the evening. Nothing specifically is making me sick at this point… yay! Gender: Still don't know… but we should find out right around Valentines Day! I feel so so soooo ready to know, even more so than I was with BD. Andrew is excited to know, but not as anxious as I am to know right now. Symptoms: Tired, a little nauseous and still having some headaches. Looking forward to: Finding out the gender and hopefully getting into our new house!!! Size of Baby: Size of an avacado! This is that stage of pregnancy where I am just ready to feel you more… but I know the movement is coming. I am excited to know you, your personality and everything. We are praying for you and BD's excitement is mounting too! I love your announcement! So cute!! Looks like you are feeling well! 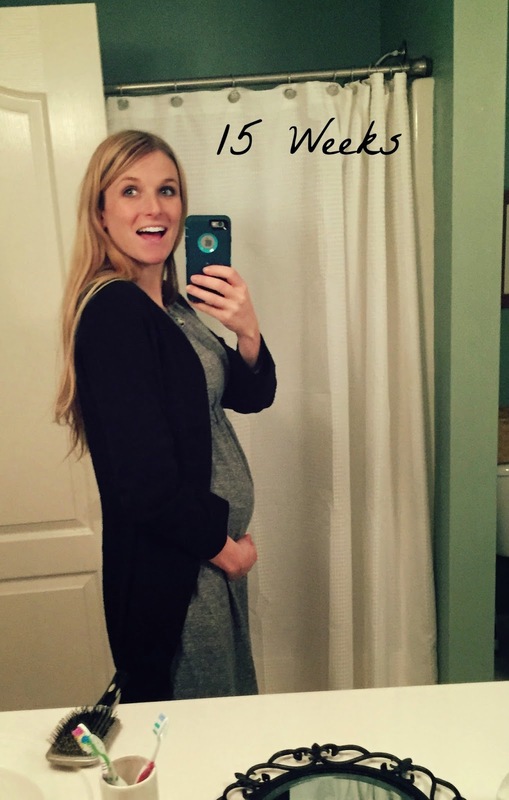 I love reading pregnancy posts!! Can't wait to follow along more!! Thank you for following along! I will have to link up this next Saturday… excited to join the fun! So exciting!!! Congrats on your second little girl! We cannot wait to find out if we are having a girl or a boy! So exciting, Stasia! I'm glad you're chronically all of this for us and . . . your new baby! He or she will have such a gift to see your excitement building and all the ordinary details and extraordinary developments! Thanks!